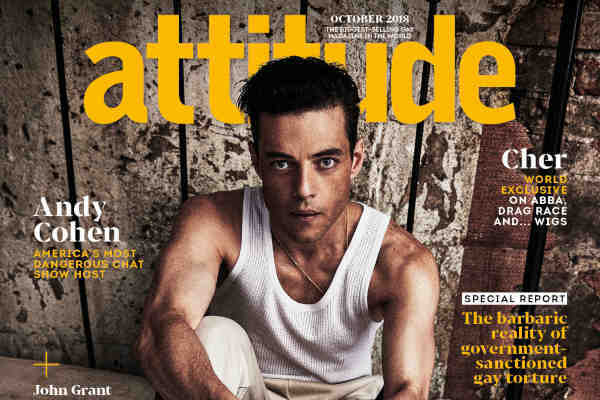 Rami Malek, who portrays Freddie Mercury in the upcoming biopic Bohemian Rhapsody, has said that the film will feature the late singer's sexuality and battle with AIDS. Mercury, the flamboyant frontman for Queen, died in 1991 from complications related to AIDS. Bohemian Rhapsody opens in 1970, when Mercury first teamed up with guitarist Brian May (played by Gwilym Lee) and drummer Roger Taylor (Ben Hardy) to form Queen, and ends with the band's 1985 Live Aid performance. The film arrives in theaters November 2. Controversy surrounded the film after release of its first trailer, with many accusing producers of “straight-washing” Mercury's life. In an interview with UK LGBT glossy Attitude, Malek, 37, denied the claim. “It's a shame that people are making remarks after a minute teaser where you just wanna see the music,” Malek said. "This pandemic is still very much a horrific threat to so many people in the world. It exists as a reality for so many that I think it would be a shame not to address it,” he added.